But the real hero of Tasmania is of course the landscape. 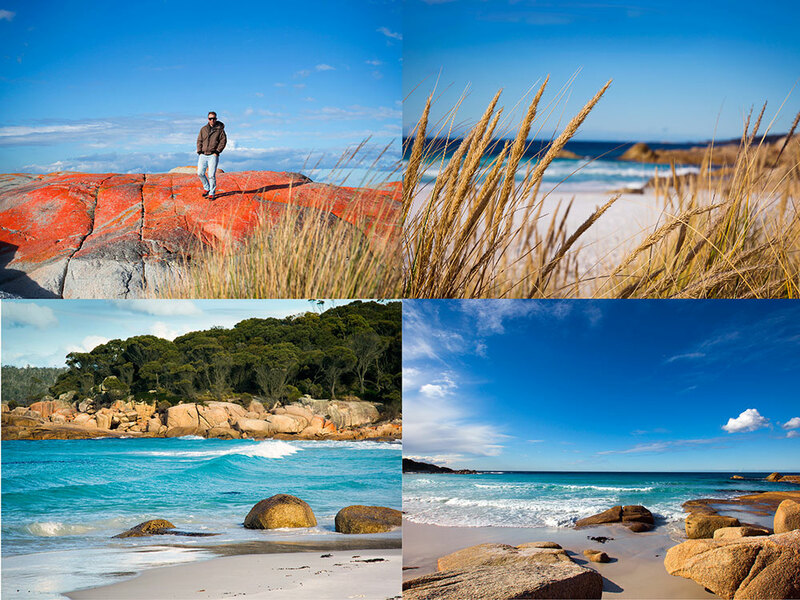 We took our hire car through the Huon Valley trail, all the way to the Bay of Fires on the North-East coast and were in constant awe of the countryside. 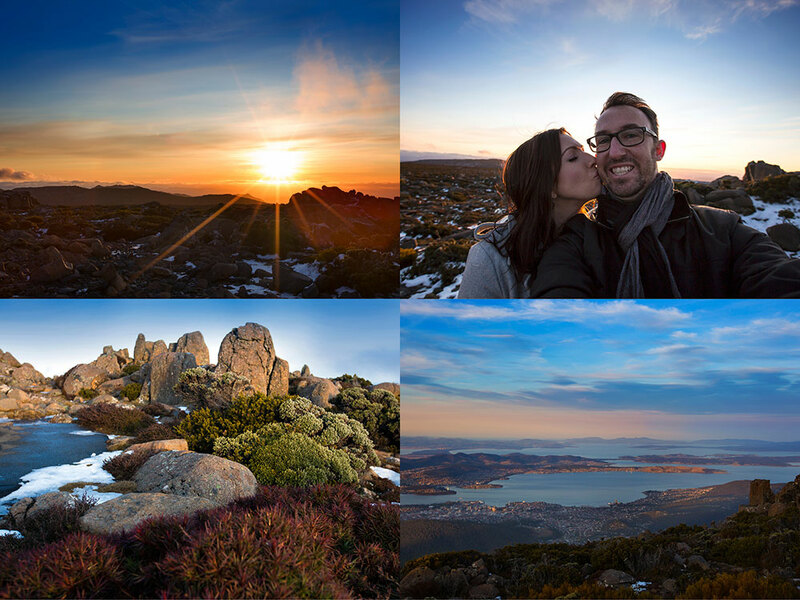 Our first day was in the Huon Valley, which ended magically atop the snow dusted Mount Wellington, as Tasmania put on a sunset nothing short of spectacular! To say it was cold would be an understatement, but that was easily forgotten with the view of Hobart below, and the Tasmanian chocolate truffles we’d packed for the drive! Dessert came before dinner, as we then tried out the on-site restaurant Beaches Restaurant & Bar at Wyndham Seven Mile Beach, and were definitely not disappointed. Day two was road-trip day. 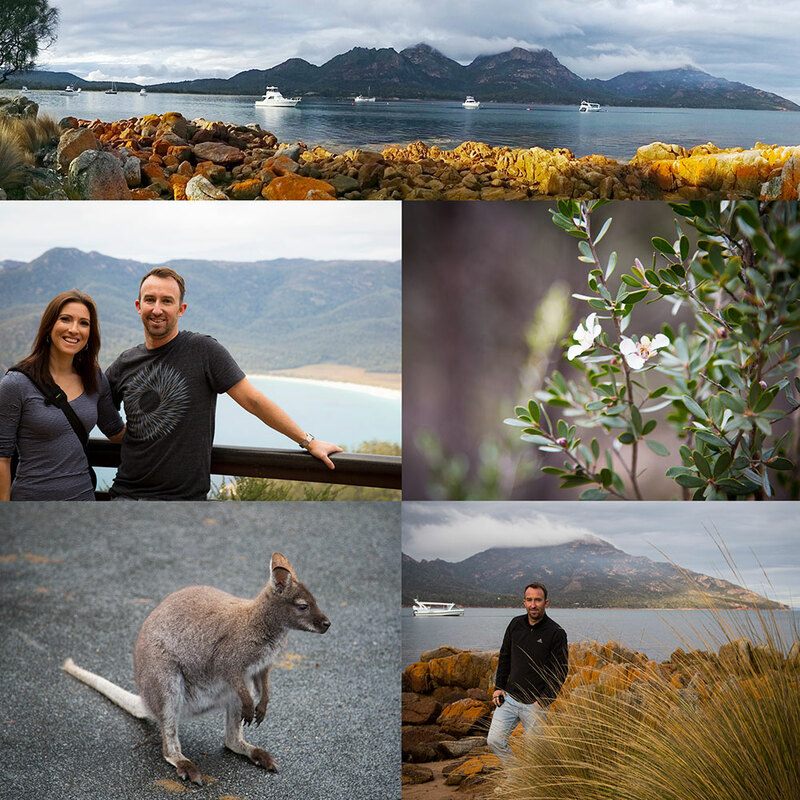 We embarked early with the sun, and headed for Freycinet National Park. We hiked with lots of friendly locals to the lookout over Wineglass Bay, before continuing on to the stunning Bay of Fires, further up the coast. The weather started to close in on us as we got there but it still put on a show, with crystal clear blue water and vibrant orange boulders. By the end of our long drive back to Wyndham Seven Mile Beach, we desperately needed fuel (food) and warmth, so our fire-side table and local wine and produce at Beaches Restaurant & Bar really hit the spot. If you visit, you must try the local salmon on their menu – the best I’ve ever had. 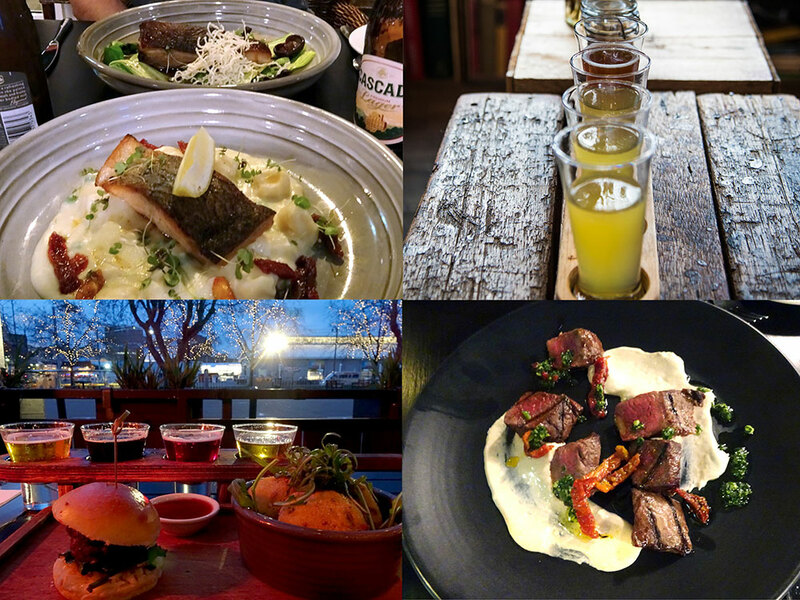 Our third day was spent in Hobart city, where we perused the famous Salamanca Market, ferried our cultured-selves to MONA gallery, and bar hopped through the restaurants at Salamanca Place. It was beautiful to dine in such beautifully restored historical buildings, as coming from the ‘starved of anything historic’ Gold Coast, it was a real novelty. We had one day left to explore the apple isle, so headed South-West to the Tasman Peninsular, where were stopped at the tessellated pavement and watched seals frolic in the perfect blue surf at Pirates Bay Beach. 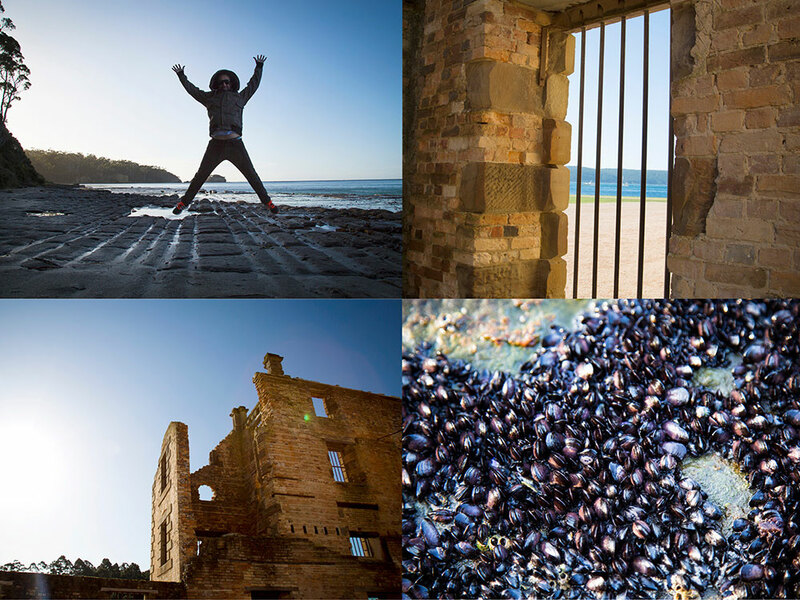 Next stop was the haunting Port Arthur site, as sombre as it is, its location really blew us away – once again Tasmania impressing with its natural beauty. We were sad to leave our chilly little island paradise, we hope to return one day to do the famous Overland Track – but I won’t lie – I welcomed the Queensland warmth when we landed back home. I would strongly recommend for anyone to visit beautiful Tasmania at least once – you won’t regret it. 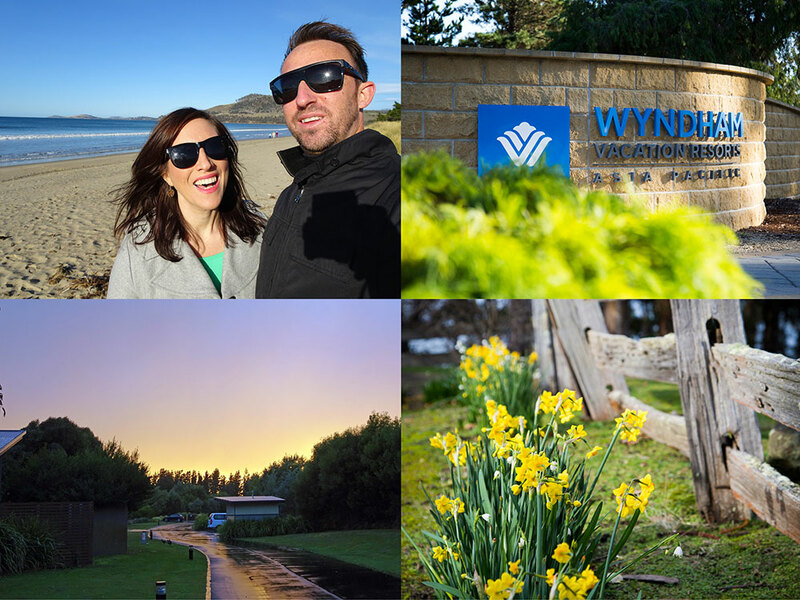 This entry was posted in (TAS) Hobart and tagged australia, hobart, holiday, Seven Mile Beach, tasmania, timeshare, travel, vacation ownership, WorldMark South Pacific Club by Wyndham, Wyndham Vacation Resorts Asia Pacific. Bookmark the permalink.